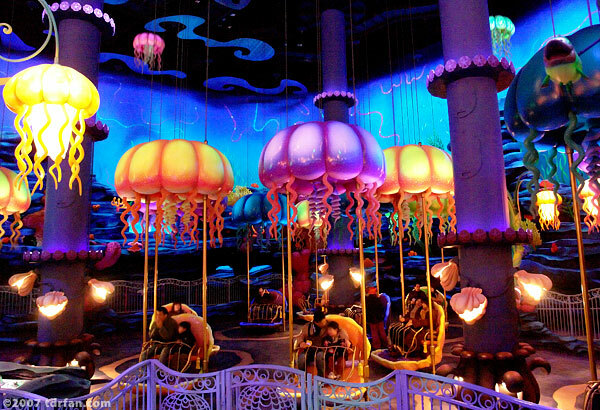 A very tame version of a parachute ride, Jumpin' Jellyfish is best suited for kids. It's not much more fun than riding in an elevator, and like many of the attractions in Mermaid Lagoon it probably works better as eye candy than as an actual attraction you'd want to ride. If you are going to ride this ride, try and get one of the seats near the rail that face into Mermaid Lagoon as these seats give you a nice view of the area as you ascend.